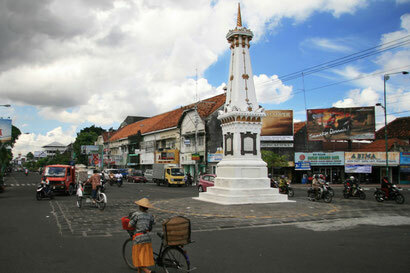 Yogyakarta city is the capital and the Central Government of the Special Region of Yogyakarta, Indonesia. Yogyakarta is a residence For Hamengkubawana And Duke Sultan Paku Alam. The number of objects, and attractions in Jogjakarta has absorbed a visit with tourists, both foreign and domestic tourists. In 2010, tourist arrivals recorded as 1.45698 million people, with details of 152 843 from abroad, and 1,304,137 people of the archipelago. A form of tourism in Jogjakarta include MICE (Meeting, Incentive, Convention and Exhibition), cultural tourism, nature tourism, special interest tours, and various other tourist facilities, such as resorts, hotels, and restaurants. Noted there are 37 five-star hotels and budget hotels across the 1,011 DIY in 2010. As for the organization of MICE as much as 4,509 times per year, or about 12 times per day. Diversity religious ceremonies, and culture of the various religions and supported by the creativity of the arts, and hospitality community.